What I know about chocolate pudding before is that it comes in a box. Just add hot water and Voila! 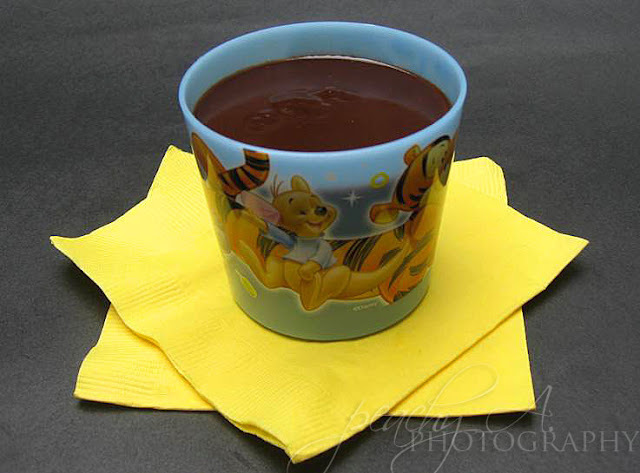 you can enjoy a nice chocolate pudding for dessert. If you want an easier way to have your chocolate pudding, you can buy a packed choco pudding at the grocery.Just open the tab and you can dig in. 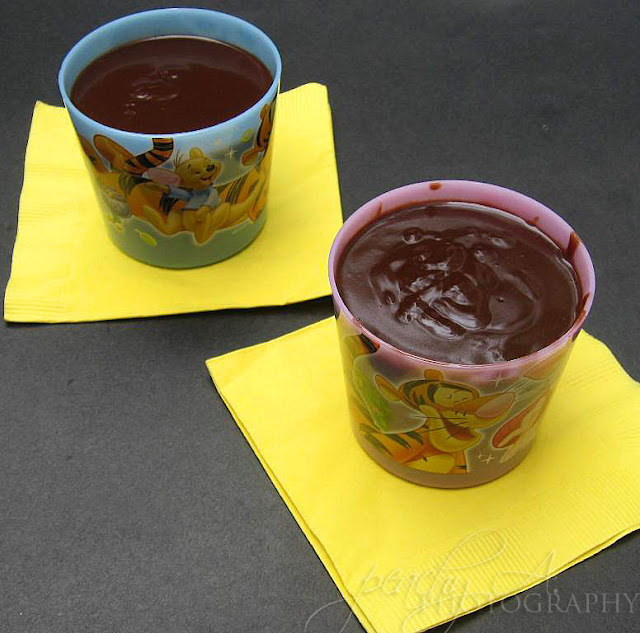 I just had to discover how I can make a chocolate pudding of my own….from scratch. Why? I’m going to use it for something I will be making later and I need lots of it. Buying ready-made ones is too expensive and the ones in the box just won’t do it for me right now. Combine cornstarch, sugar and salt on top of a double broiler. Slowly whisk in milk until dry ingredients are dissolved and place on top of the simmering water. Stir ocassionally to prevent lumps. After the mixture has boiled and thicken, add the chocolate chips. Continue stirring until the chocolate chips are dissolved and pudding is smooth and thick. Can you guess where I’m going to use this? Come back tomorrow and you’ll see…..
an entry for . Have a great weekend!